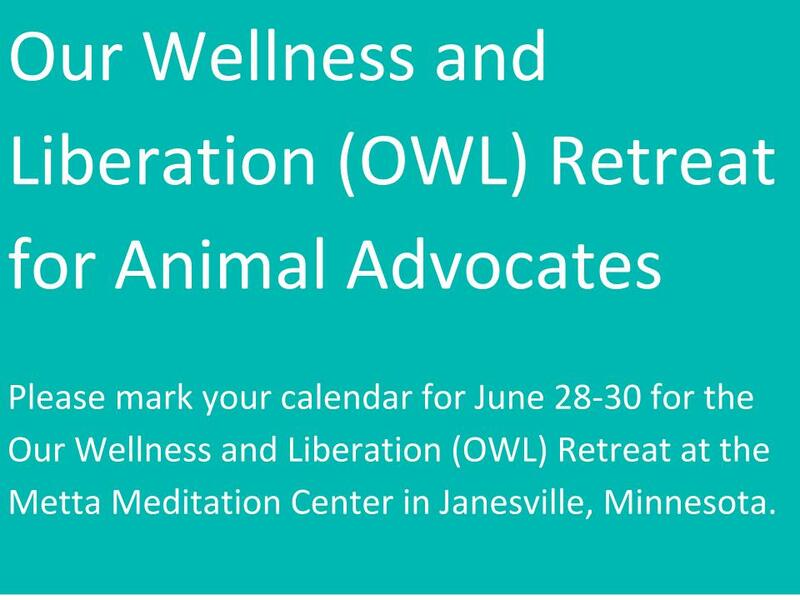 I’m excited to announce I’m co-planning a retreat for animal advocates this June! 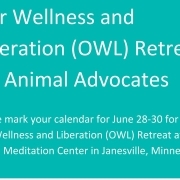 It will be held June 28-30 at the Metta Meditation Center in Janesville, Minnesota. See more on the website, and sign up to receive an email when the registration opens!